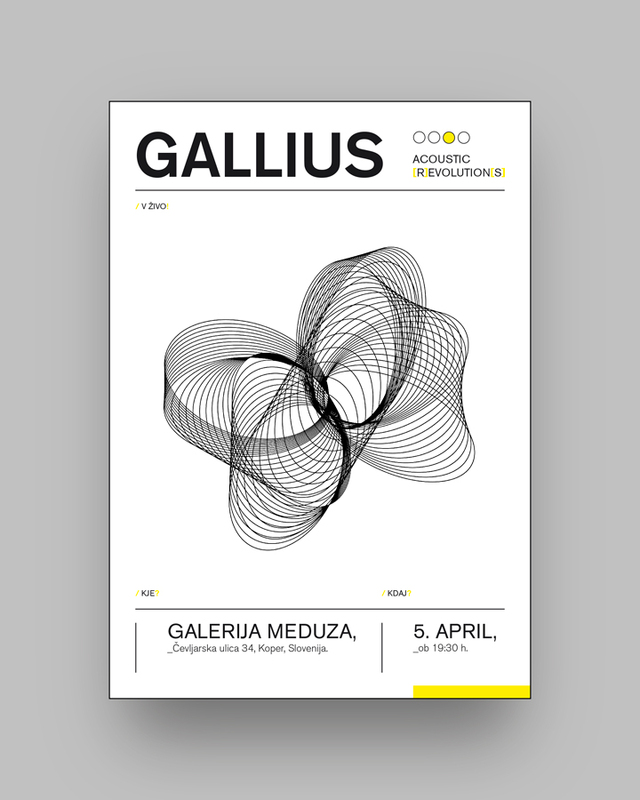 Presented as a homage to CMYK color model, this set of four different A3 posters made as promotion for the Gallius — an acoustic alternative music project lead by slovene songwriter Marko Galič — concert at Galerija Meduza in Koper (Slovenia) plays, through the depiction of four different wavy illustrations and the use of the ‘offset printing’ primary colors, around the theme of acoustic (r)evolution(s). The acoustic gig in question was devoted to the exploration of the experimentation in music, all accompanied by texts that touch on social thematics and revolutionary issues. 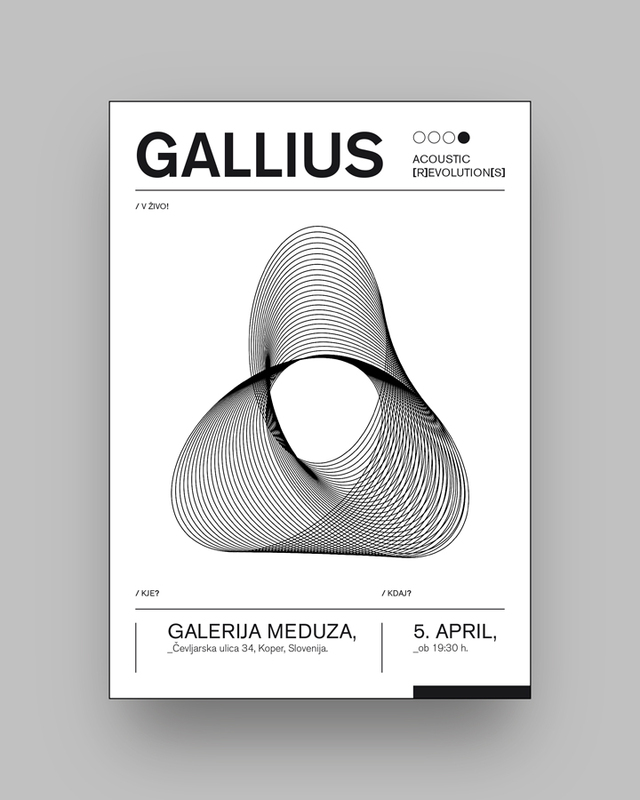 So here came out the idea to create a motto that plays with the words ‘evolution’ and ‘revolutions’. All around this slogan there developes the graphic design for the show, which fully encapsulates the beliefs guiding the artist: solicit in a sympathetic way both the importance of political statements expressed by a musician in his songs and the amusing variety of expressive possibilities given by music itself. 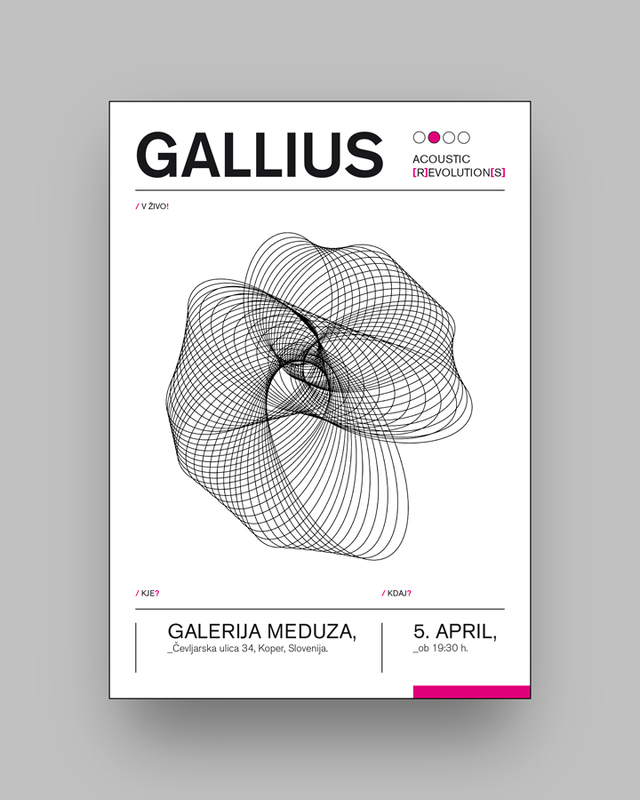 This is the second of a three-pieces series of promotional designs conceptually and graphically focused on the theme of ‘color mode’ made for Gallius. 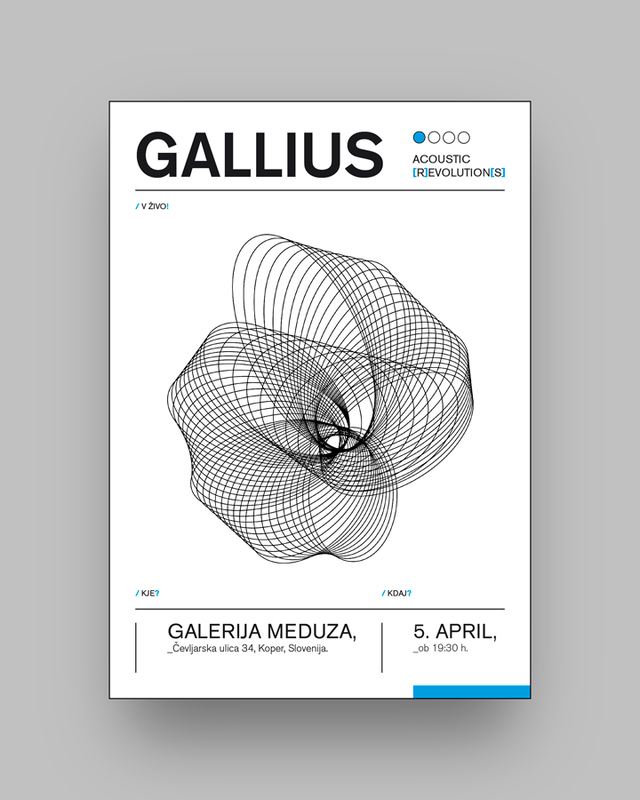 This second — presented here above — is a set of four posters based on the CMYK color model. 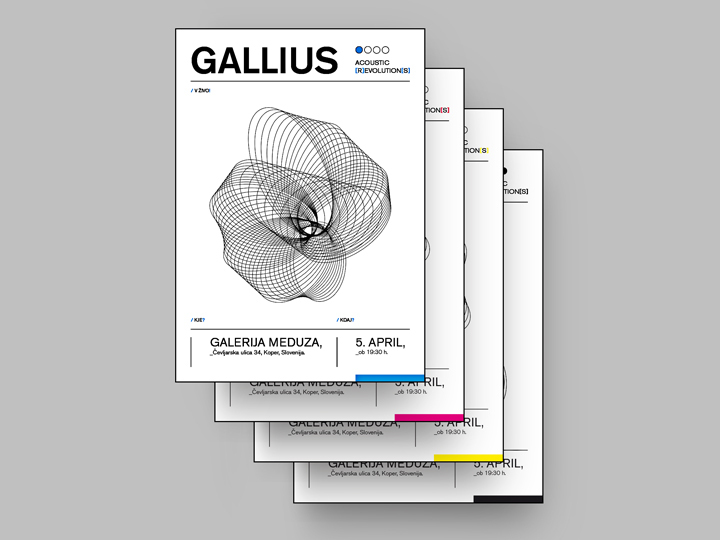 You can complete the overview of the trilogy by clicking here to see the first set of posters + flyers (based on the RGB color model) and by clicking here to discover the third step of the saga (based on the Black and White processing). The ‘vawy illustrations’ are freebies by Freepik.